Fresh and unique console design, combines as usual the look with functionality. 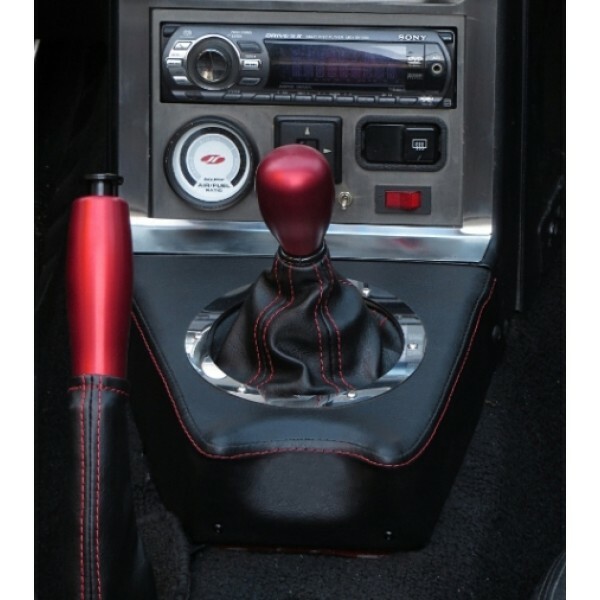 The currently available finish is leather and two stitching options are available - black and red stitching. The console goes lower and as short as possible (to integrate with the carpet). Of course it changes the OEM trapezoid opening to the better looking round one. This is plain version without vintage toggle switches. The little devil horns, act as ergonomic and quote comfy arm rests in the first version. 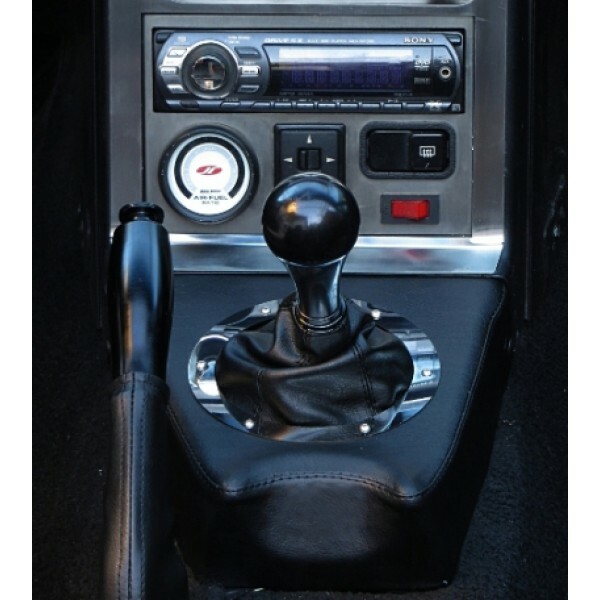 - it comes with dedicated leather gaiter /matching the console leather of course/.